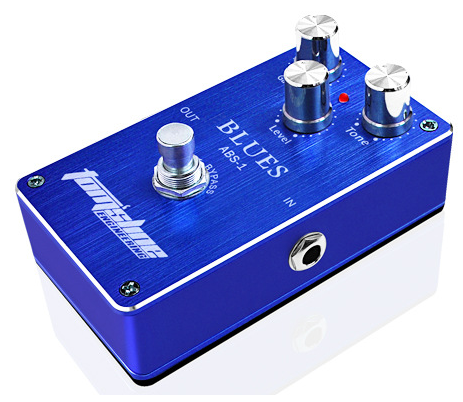 Crank up your favorite blues licks with the Tomsline Blues True Bypass Guitar Effect Pedal. This small and sleek design is a great edition to your pedal board with its bright blue colors and flexible controls. Here are some of the features that are included with this pedal. · Accessory: Owner’s Manual, Alkaline BatteryActivate the pedal to get a truly vintage blues sound and when deactivate, it bypasses the signal to allow your guitars original tone to pass through the signal.